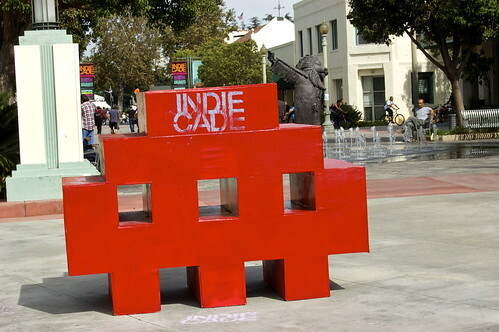 “Playing a game in public is a political act,” asserted games evangelist Bernie DeKoven at a keynote event of IndieCade 2012. In the particular context of his discussion with game theorist and designer Eric Zimmerman, DeKoven was referring specifically to the “New Games” movement of the 1960s and 70s, which promoted a philosophy that group play was vitally important to both adults and children. A little while into Once Upon a Time in Anatolia, Turkey’s entry for last year’s Best Foreign Film Oscar, the small police caravan stops at what the murderer thinks is the location of his victim’s buried body. It’s very late, maybe two o’clock in the morning. The murderer and a few of the police officers walk down the hill by the road and disappear into the night. The rest of the group stays by the cars. They talk some, then the doctor walks off to relieve himself. He wanders over a hill or two and comes to a little valley next to some rocks sticking out of the hillside. I think it’s also raining, or threatening to. He starts his business and after a few seconds of stillness there’s a flash of lightning, revealing the distinct shape of a face in the rocks next to him—a face made of the rocks. The doctor starts, or maybe I remember that because I did. In a movie built on moments of quiet resonance, this was the one that stuck with me. LUDUS is the UCLA Cinema and Media Studies program’s graduate student organization dedicated to video game theory, history, and play. LUDUS members are video game enthusiasts who have, over the past several years, sponsored lectures from industry professionals, programmed machinima screening series in conjunction with Melnitz Movies, worked closely with designers in the UCLA Games Lab, and coauthored publications and collaborated on conference presentations with one another. Good evening and welcome to WarGames, and what will hopefully be the first of several LUDUS screenings that will, as a whole, interrogate the intersection of cinema and video games, displaying the numerous ways in which cinema has represented, adapted, and translated game play and game culture into film form.